As costumed children go door to door in traditional Halloween fashion Oct. 31, ringing doorbells may annoy Delaware residents who are legally gambling online. Those Delaware residents may not mind, however, as online gambling will finally reach the second of the 50 United States. Just one week from now, Delaware gaming officials will throw on the virtual switch and join Nevada in regulated online gambling. Unlike Nevada, whose current legislation calls for Internet poker only, Delaware is aiming to bring a full slate of online poker and casino games to its residents. Known as The First State for ratifying the Constitution of the United States in 1787 before any other state did so, Delaware will also be first in rolling out Internet casino games, along with poker. However, not all casino games will be available upon launch. Delaware online poker players needn’t worry, as virtual cards will be dealt in Texas Hold’em. But Delaware Lottery Director Vernon Kirk told Cardplayer that it will take a bit more time for players to enjoy the entire gamut of Internet casino action that the menu will eventually feature. Nonetheless, Delaware will beat New Jersey’s online gambling launch by about four weeks, as the latter has targeted November 26 as the day that the dozen Atlantic City casinos may go live with their online offerings. Those that are ready, that is. At least a few casinos, the Revel and Atlantic Club in particular, will probably not be prepared to go forward on that date. At last count, about 917,000 people call Delaware home. That ranks 45th out of the 50 states in terms of population. Quite tiny, and hardly enough to sustain a viable online poker regime on its own. For that reason, state officials have communicated with Nevada and New Jersey gaming honchos in hopes of forging interstate compacts to increase player liquidity. Kirk said that Nevada has shown considerable anxiousness in combining player pools. That’s not surprising considering that its two regulated sites of WSOP.com and Ultimate Poker will soon be joined by a bunch more, further diluting the player pool that has roughly 2.7 million Nevada residents to draw from. New Jersey, on the other hand, has almost 9 million folks spread throughout the state. That’s more than nine times the population of Delaware and three times that of Nevada. Simple mathematics tells us that both of the smaller states should be eager to draw up an agreement with New Jersey in order to share the wealth that online poker is expected to bring. But first things first, and Delaware Lottery officials are focusing on the Oct. 31 launch before serious interstate compact discussions commence again. There is no trick involved in being ready by Halloween, as Delaware regulators have been hard at work for months in preparing for the big day. And when it arrives, Delawareans are in for a treat, as they will legally be able to gamble from the comfort of their own homes. 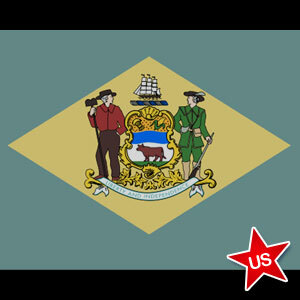 Read our Delaware poker page for more in depth information with regards to online poker and gambling legislation.